While Western governments continue to ravage each other viciously, seemingly unable to come to terms on even the simplest of agendas, the East, led predominately by the financial juggernaut that is China, continues to chug along, slowly but surely carrying through on their long term plans. While we look inward and fight among one another, becoming increasingly polarized and isolated into our various political “camps”, ceasing any form of communication with each other, our economic rivals are racing past us, forming partnerships and making plans. Russia and China are two such countries that I have often talked about in past articles, highlighting how the West has forced these two countries into a partnership that threatens to overtake the West as the economic powerhouse of the world. While our financial “gurus” continue to shuffle pieces of paper back and forth between each other, trading digital numbers in ever increasingly quantities, as if they had any real, true intrinsic value. Russia and China are happily making moves around the world, acquiring physical, tangible assets that will play key roles in the coming economic conflict that the world will inevitably face at some point in our not too distant future. 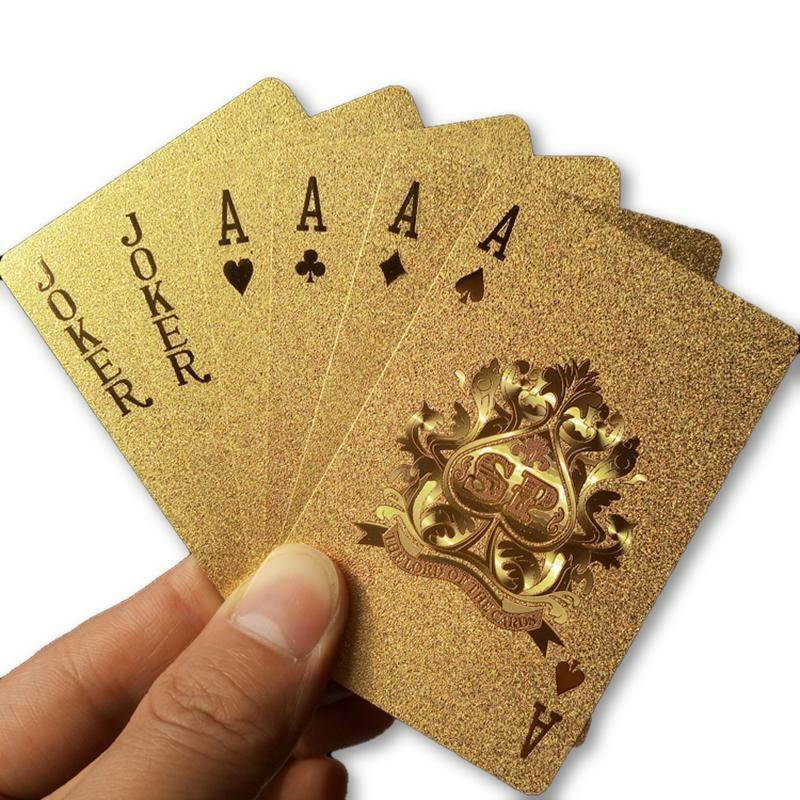 Although their demand for oil, rare earths and various other forms of assets is seemingly insatiable, there is one asset class above all others that I am particularly interested in, precious metals. Both countries have made it blatantly obvious that they are not happy with the current “status quo” and would love to see an eventual change. That change being a toppling of the US Dollar as the reserve currency of the world. This has led to a rapid accumulation in precious metals by Russia, who have forecast their purchases on an almost monthly basis. On November 8, China shocked markets with its latest targeted stimulus in the form of an “unprecedented” lending directive ordering large banks to issue loans to private companies to at least one-third of new corporate lending. The announcement sparked a new round of investor concerns about what is being unsaid about China’s opaque, private enterprises, raising prospects of a fresh spike in bad assets. A few days later, Beijing unveiled another unpleasant surprise, when the PBOC announced that Total Social Financing – China’s broadest credit aggregate – has collapsed from 2.2 trillion yuan in September to a tiny 729 billion in October, missing expectations of a the smallest monthly increase since October 2014. Some speculated that the reason for the precipitous drop in new credit issuance has been growing concern among Chinese lenders over what is set to be a year of record corporate defaults within China’s private firms. As we reported at the end of September, a record number of non-state firms had defaulted on 67.4 billion yuan ($9.7 billion) of local bonds this year, 4.2 times that of 2017, while the overall Chinese market was headed for a year of record defaults in 2018. Since then, the amount of debt default has risen to 83 billion yuan, a new all time high (more below). Now, in a new development that links these seemingly unrelated developments, Bloomberg reports that debt cross-guarantees by Chinese firms have left the world’s third-largest bond market prone to contagion risks, which has made it “all the tougher for officials to follow through on initiatives to sustain credit flows”, i.e., the growing threat of unexpected cross- defaults is what is keeping China’s credit pipeline clogged up and has resulted in the collapse in new credit creation. As corporate defaults surge, forcing a desperate PBOC to reverse its deleveraging efforts and threaten more interventions to stave off a more serious retrenchment in growth in the world’s second largest economy, it seems like not a day goes by without another warning sign that China’s economic precarious situation is even worse than we thought. The impact this has had on the mainland investors’ psyche has been obvious to all. Repeated interventions by China’s ‘National Team’ have done little to arrest the inexorable decline in mainland stocks in October, leaving the Shanghai Composite, the country’s main benchmark index, on track for one of its worst months since the financial crisis, and its worst year since 2011. Meanwhile, a flood of FX outflows has pushed the Chinese yuan dangerously close to the 7 yuan-to-the dollar threshold which, if breached, could unleash another wave of chaos across global markets. 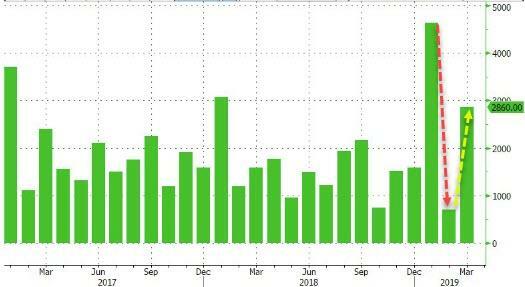 And as Chinese policy makers are probably already scrambling to pad the official stats, Bloomberg has released its own proprietary preliminary gauge of Chinese GDP in October which showed that the slowdown unleashed by the US-China trade war worsened in October. The Bloomberg Economics gauge aggregates the earliest-available indicators on business conditions and market sentiment, and unequivocally affirmed that the Communist Party’s efforts to stabilize the country’s economy and markets – the party this month introduced a raft of measures to stabilize sentiment, including steps to boost liquidity in the financial system, new tax deductions for households and targeted measures aimed at helping exporters – haven’t been successful – at least not yet. Kyle Bass and the other prominent China bears across the US hedge fund community will be pleased to see the latest early indicator from Bloomberg, which suggests that economic growth in China remained (relatively) sluggish in October after slowing to its weakest level since the crisis during the third quarter. The PBOC eventually won that 2016 skirmish with the CNY “shorts”. In general, however, you don’t want your central bank feeling compelled to do battle against the markets. It’s no sign of strength. For “developing” central banks, in particular, it has too often in the past proved a perilous proposition. Threats and actions are taken, and a lot can ride on the market’s response. In a brewing confrontation, the market will test the central bank. If the central bank’s response appears ineffective, markets will instinctively pounce. Often unobtrusively, the stakes can grow incredibly large. There’s a dynamic that has been replayed in the past throughout the emerging markets. Bubbles are pierced and “hot money” heads for the exits. Central banks and government officials then work aggressively to bolster their faltering currencies. These efforts appear to stabilize the situation for a period of time, although the relative calm masks assertive market efforts to hedge against future currency devaluation in the derivatives markets. It may not have reached the furious outflows from the peak of the post-depreciation period, but as Goldman concedes, this risk will rise over time if the authorities continue to resist interest rate differential-driven depreciation pressure. Indeed, as noted in our morning wrap, on Friday the yuan hit a fresh 22-month low of 6.9641 against the dollar. Additionally, earlier in the session the offshore Yuan tumbled as low as 6.9769 after the PBOC fixed the onshore Yuan north of 6.95 and weaker than consensus expected, at which point however Beijing intervened, when at least one big China bank sold the US dollar in the afternoon, prompting the yuan to reverse loss, and triggering stop-loss orders by short-sellers of the yuan. And with the Yuan just inches away from the key level of 7.00 vs the dollar, dropping 6% against the dollar so far this year, reflecting its slowing economy as well as pressure on exports due to an ongoing tariff war with the United States, Beijing is starting to sweat. Has China Finally Lifted its Thumb off of Gold? There’s a lot of talk about the Yuan price of gold falling out of a price suppression channel. Both Zerohedge and Nomura have weighed in on this. The Yuan price of gold surged overnight to above CNY 8500 per ounce which is a major breakdown But it’s also indicative of something that has long been suspected during this gold bear market. China doesn’t want the price of gold to rise. Those accumulating gold — China and Russia — have zero incentive to accumulate at higher prices. And the gold chart of the last three years bears out that they have had to come in at higher prices on pullbacks because market bottoms keep coming in higher and higher. The 2015 low was around $1050. 2016 at $1146. 2017 the low after a pullback in July couldn’t breach $1208 during a strong post-U.S. election rally. This year the price was briefly pushed below $1200 in the longest downtrend of the seven year bear market but has since popped back over $1230 with its sights now set on $1250. China may have no choice here but to let the price of gold rise. Because conditions in other markets are changing rapidly. So, ultimately, what China wants really may not matter anymore. Remember, the eurodollar markets broke in late May this year as Jeffrey Snider at Alhambra Partners reminds us daily. The PBoC cut the reserve ratio again recently to free up liquidity in Chinese banks but it doesn’t seem to have stemmed the tide. And that’s why it has continually loosened the Yuan fix rate, now approaching 7 vs. the U.S. dollar. Offshore dollar markets are the pool of real savings in the global economy and it determines where we are headed. And the offshore dollar hoarders are pulling out of China… and Europe… and Japan…. and South America. This morning, when we reported that the latest flood of margin calls, resulting from $600 billion in shares pledged as collateral for loans and representing a whopping 11% of China’s market cap, sent the Shanghai Composite tumbling 3% to the lowest level since November 2014, we noted that local government efforts to shore up confidence in smaller companies had, quite obviously, failed to boost sentiment… or stem the selling. the PBOC to push forward bond financing by private cos.
With investor attention increasingly focused on China’s credit pipeline to see if the recent crackdown on shadow lending has unlocked other sources of debt in a country where growth is always and only a credit phenomenon, and where both the housing and auto sectors are suddenly reeling, overnight’s latest credit data from the PBOC was closely scrutinized… and left China watchers with a very bitter taste. What it showed was that traditional new RMB loans rose to RMB1,380bn in September, largely as expected (exp RMB1,360bn) from RMB1,280bn in August, with growth of outstanding loans unchanged at 13.2% Y/Y and up from 12.7% a year ago. New loans to the corporate sector rose to RMB677bn from RMB613bn in August, in which medium- to long-term loans rose to RMB380bn from RMB343bn in August. New loans to the household sector rose slightly to RMB754bn in September from RMB701bn in August, and the long-term loan component (mostly mortgage loans) remained largely flat at RMB431bn (August: RMB442bn). New loans to non-bank financial institutions were -RMB60bn in September versus -RMB44bn in August (average September level: RMB13bn). Also of note, M2 growth rose by 0.1% to 8.3% Y/Y in September, in line with market expectations, however as Nomura writes in a note this morning, monetary aggregate growth is no longer as important to the central bank’s policy making as it once was, and Beijing is focusing more on interbank liquidity conditions, aggregate financing and investment. Where the data was especially interesting, however, was in the broader Total Social Financing category, which on the surface came in well stronger than expected printing at RMB2,205bn in September from RMB1,929bn in August, above the $1,550bn estimate, and the strongest month since January. Is this week’s 6% market drop the start of the Big One? With the recent plunge in the S&P 500 of over 5%, has the long-anticipated (and long-overdue) market correction finally begun? It’s hard to say for certain. But the systemic cracks we’ve been closely monitoring definitely got an awful lot wider this week. After nearly a decade of endless market boosting, manipulation and regulatory neglect, all of the trading professionals I personally know are watching with held breath at this stage. The central banks have distorted the processes of price discovery and market structure for so many years now, that it’s difficult to know yet whether their grip on the markets has indeed failed. But what we know for certain is that bubbles always burst. Inevitably. Each is built upon a fallacy; and when that finally becomes apparent to enough people, the mania ends. And today, there are currently massive bubbles in stocks, bonds and real estate. Every one courtesy of the central banks (as we have written about in great detail here at PeakProsperity.com over the years). And with no Plan B in place to gracefully exit the corner they have painted themselves — and thereby the global economy — into, the only option available to them is to double-down on the pretense that we’d all be screwed without their stewardship. They have to do this I suppose. To admit the truth would throw the world into panic and themselves out of a job. U.S. interest-rate increases will help reduce risk-taking in financial markets, Federal Reserve Bank of New York President John Williams said. On Sunday, the Bank of China cut the level of cash that banks must hold as reserves. The Yuan continued its slide. Reuters reports China Set to Reopen After Beijing Eases Policy. Reserve requirement ratios (RRRs) – currently 15.5 percent for large commercial lenders and 13.5 percent for smaller banks – would be cut by 100 basis points effective Oct. 15, the PBOC said, matching a similar-sized move in April. China said it would not devalue the yuan in response to a trade war. Actions speak louder that words. ZeroHedge comments Yuan Set To Plunge Below PBOC “Red Line”. The CNH is once again dangerously close to the PBOC’s redline of 7.00, with 3-month USD/CNH points, which have reached their highest this year, suggesting that a breach of that level is increasingly probably and implying a CNH yield of around 2% above equivalent USD 3-month rates. At the same time, the 1-year forward is also flirting with 1,000 pips, another signal that traders see a weaker yuan. The rate of appreciation in the forward curve this month is the quickest since June, when the U.S.-China trade war crossed the Rubicon. China’s central bank announced it would cut the Required Reserve Ratio (RRR) for most banks by 1.0% effective October 15 for the fourth time in 2018, a little over three months after the PBOC announced a similar cut on June 24, as Beijing seeks to stimulate the slowing economy amid the growing trade war with the US, a slumping stock market, a sliding yuan and a record number of bond defaults. The People’s Bank of China announced on Sunday local time that it lowered the required reserve ratio for some lenders by 1 percentage point according to a statement on its website. The cut, which will apply to a wide range of banks including large commercial banks, joint stock commercial banks, city commercial banks, non-county rural banks and foreign banks, will release a total of 1.2 trillion yuan ($175 billion), of which 450 billion yuan will be used to repay existing medium-term funding facilities which are maturing, and the remaining RMB 750bn will help offset the seasonal rise in liquidity demand during the second half of the month due to tax payments, according to the PBOC. But the real reason behind the RRR cut is that it is intended to boost sentiment before the onshore equity market re-opens on Monday after the week-long holidays, as well as to support liquidity conditions at a time when global interest rates have suddenly spiked to multi-year highs..